LearnLogos Training and Beloved Truth Int’l Become Partners! John Fallahee is partnering with Beloved Truth International to share his expertise with Logos Bible Software and Inductive Bible Study. Many of you know John when he worked at Precept Ministries. John is also a Precept Trainer. He will be hosting a series of FREE webinars to help anyone with Logos Bible Software use it more effectively for Inductive Bible Study for Beloved Truth Int’l. By the way, check out his training website (www.LearnLogos.com). 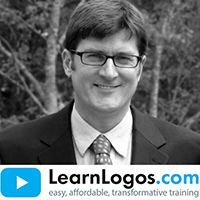 John is also providing a discount for all Beloved Truth members to receive at $10 discount off his amazing LearnLogos 7 training bundle that includes over 54 hours of training. This is amazing! I’ve always wanted to know how to use Logos more effectively. We are extremely excited Michelle! Stay tuned…lots of Logos Resources on their way from John Fallahee!